Back again with some more links I have been pondering this past month! I finally finish up all my liquid hand soaps, and am digging into my pile of bar soaps that have some how accumulated under my sink by no conscious effort. Thus, I am back to dreaming out this beautiful soap dish, but will probably buy this one instead because it is 1/4 the price and better serves my goal of paying off my credit card debt this year. In a related effort, I have been spending a lot of time figure out ways to get rid of some of the plastic and waste in my life, and this website has been a revelation. Like, how beautiful and plastic free is this water bottle? I am working on writing up the post for my first capsule wardrobe, and in the meantime am still day dreaming about people portrayed as beautifully as Light by Coco’s portrays hers. I am also considering spending some time in the coming year making some of the items I want in my capsule wardrobe instead of spending time shopping for them. I have always been into sewing, but I am now totally motivated to trying it more now that I have discovered this amazing fabric with the pattern perfectly pre-printed on it and completely customizable. Bonus, I have been loving the designs of that designer for months, but had been putting off purchasing the traditional patterns she offers, so I am glad her patterns are now available in this format. But I would be lying if I didn’t have some clothing on my wishlist like these Eileen Fisher boots, this beautiful Free People top, and this cosy BLQ tank dress from Anomie that I have been dreaming about ever since Chelsea Wears started vlogging this month with her spiffy new camera. Her videos are also something I can’t stop watching/thinking about because it’s like my ideal unscripted reality/sitcom tv show with her, her shop, her boyfriend, her dog, and her life. This crazy mug makes me so happy whenever I see it, and I am dying to add it to my mug family. Likewise, this super cosy Woolrich x Huckberry collab blanket makes feel warm and happy just looking at it online. And this weird leather wrapped driftwood that just captivating to me for some reason. And this dance yoga fusion style of yoga. And this nerdy style of yoga. What have you been pondering and dreaming over this past month? I know I did a Youtube related post recently but I thought I would do a different kind of post where instead of telling you about my recent favorites I would show you a video from some of my newly discovered channels, aka, recent Youtube discoveries, so you can discover them too! Yay video watching. Let me know your favorite of my recent Youtube discoveries in a comment below. Also, tell me what your personal recent Youtube discoveries are, I would love to find even more new channels to subscribe to! Hey Glitterfriends! I have recently become bored with Birchbox because I find that I have become more interested in fashion and DIYs recently so makeup hasn’t really been exciting. But what’s a girl to do? Why, change subscription services of course! I suspended my Birchbox account this month and decided to try out a subscription my friend told me about called For The Makers. So of course I had to do a For The Makers review, right? So, what is it? 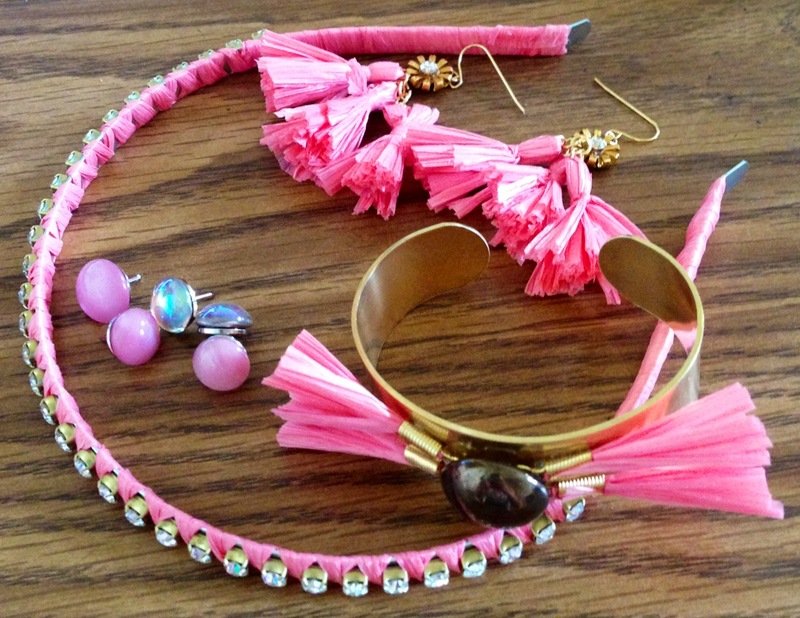 It’s a jewelry/accessory DIY subscription box! Dream come true right? It comes with all the items you need to make the pieces, plus (and I didn’t notice this at first) comes with the glue! All you need to bring with you on your craft adventure is scissors and pliers. Such a cute collection right? When I first saw the taffeta I was skeptical but now that I see the finished pieces I love them! I am sure you will be seeing more of the items in future OOTDs. So what do you guys think? 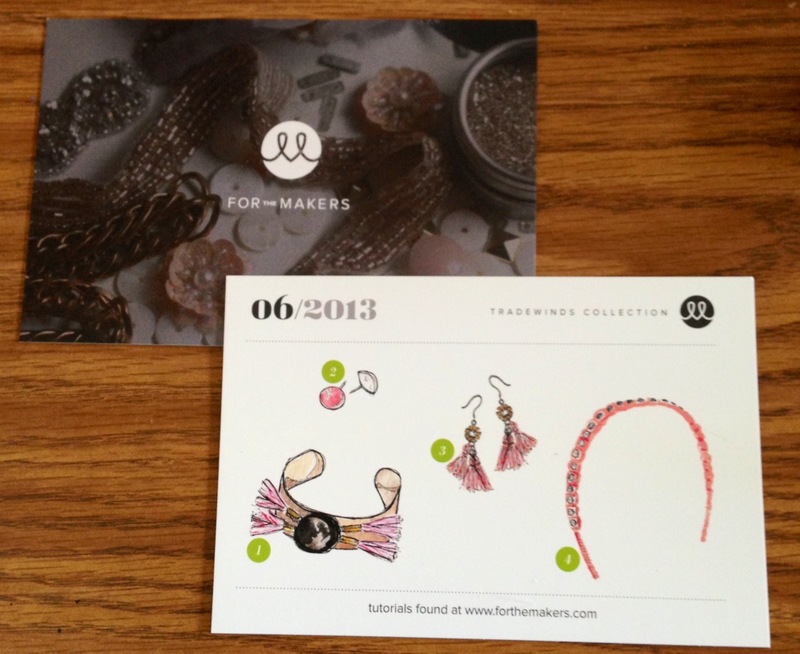 Are you going to check out For The Makers? Are you loving an subscription service that you think I should try out? Comment below and let me know.